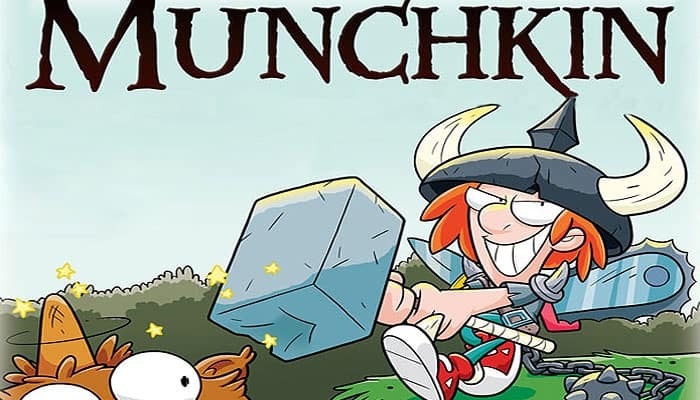 Munchkin is a satirical fast playing card game that captures the essence of the dungeon experience... You go down in the dungeon, grab treasures and magic items and kill everything and everyone you meet. All players start at level one and the goal is to reach as first player level 10. 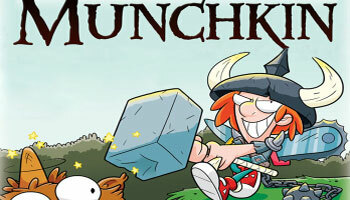 You and the other players compete to kill monsters and grab magic items. There are 2 types of cards: treasure and encounters and each turn players draw an encouter card that involves you battling the monsters. Other players can choose to help fighting the monsters or backstab you by adding extra monsters. When you are able to slaughter down the monster, you can draw a treasure card and acquire high levels. Keep separate face-up discard piles for the two decks. You may not look through the discards unless you play a card that allows you to! When a deck runs out, reshuffle its discards. If a deck runs out and there are no discards, nobody can draw any of that kind of card!